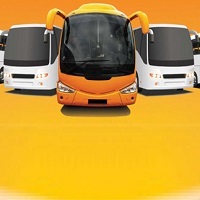 Orient Connections aspires to ease your blood and sweat battle that booking Bus Tickets is, by offering excellent Bus Ticketing Services at reasonable costs. Now plan your journey without stressing about the commuting and let us take you there. A wide operational network and the support of professionals have enabled us to meet the client needs and demands with utmost accuracy, within their budget. And even if you want tickets on an urgent basis, we can get it for you. Based in Panaji, Goa, we offer our services all over India.